I'm turning 65, what happens to my old health insurance coverage? A person first becomes eligible for insurance through Medicare when they turn 65 years old, receive Social Security (SS) or Railroad Retirement Board (RRB) benefits or are diagnosed with End-Stage Renal Disease or Lou Gehrig’s Disease. For people who are simply turning another day older, the fact that they are now eligible for health insurance through Medicare may not be a life-changing occurrence because they are presently insured by an employer or through their spouse’s insurance policy. But the option to get healthcare from Medicare is available and so long as the person continues to comply with the requirements of the Affordable Care Act, which mandates that all American citizens have healthcare coverage that meets a minimum standard, a newly of-age person should rest assured that the ability to hop onto a Medicare plan will is still there. Medicare requires that newly qualified people to the program sign up for healthcare as soon as they become eligible. If a person does not sign up for insurance through Medicare, either through the Social Security Office for a Medicare Part A and/or Part B plan or through a private insurance company for a Medicare Advantage, which is also known as a Medicare Part C plan, there may be a penalty imposed for waiting. The question is, if a person has health insurance either through their employer or through their spouse when they turn 65 and opt not to get healthcare coverage through Medicare immediately, as required by Medicare, will they be penalized when they do get healthcare coverage through Medicare? The Medicare program supports people who recently turned 65 and are now eligible for Medicare coverage, who choose to keep the coverage paid for by their employer or their spouse’s employer because it saves the Medicare program, which is partially funded by the federal government, money. The period of time that a person who just turned 65 years old chooses to keep their other insurance coverage in lieu of signing up for a Medicare policy creates an exception to the mandatory enrollment period. Let’s discuss the enrollment period a little further. If a person chooses to sign up for a Medicare healthcare plan when they turn 65, either because they have canceled the plan they had personally or through their employer or their spouse’s employer or because they simply do not have insurance, the enrollment period to sign up without fear of a penalty starts three months before the month that you turn 65 (three months before your birthday month). The mandatory enrollment period also includes your birthday month and the three months after your birthday month. In total, you have a seven-month window to sign up for a Medicare policy. This period of time to enroll applies to any Medicare program. If a person does not sign up for Medicare during that window of time around their 65th birthday month, they will have another chance to sign up during the general enrollment period, which runs from January 1st to March 31st of each year for Medicare Part A and/or Medicare Part B only. The enrollment period for Medicare Part D and Medicare Part C, which is also known as Medicare Advantage, runs from October 15th to December 7th of each year. Of course, if you miss the mandatory enrollment period and do not get to sign up for a Medicare policy during the general enrollment period, you will likely be penalized for late enrollment. The penalty will come in the form of a higher premium for Part A and/or Part B plans. Typically, the premiums are increased by 10% and that premium will continuously be charged for two-times the period of time that you were eligible to sign up for Medicare but did not, so long as the period of time was longer than a year. If you sign up for a Medicare Part C (Medicare Advantage) plan instead of a Medicare Part A/Part B plan during the mandatory enrollment period, you will not be penalized. As discussed previously, if you are still working on your 65th birthday and have coverage from your employer or are still able to be insured by your spouse’s employer when you turn 65 years old, you can disregard the mandatory enrollment period because you will be qualified for a Special Enrollment Period to sign up at a later point without penalty. This Special Enrollment Period will trigger the month after the person’s employment ends or the healthcare plan with the former employer ends, whichever comes first. The Special Enrollment Period will last for eight months starting on the month after the event occurs. Therefore, if a person’s employment ends in March, they will have eight months starting in April to sign up for Medicare without being penalized. Under these circumstances, a person is not confined by the general enrollment period in order to sign up for a Medicare plan. 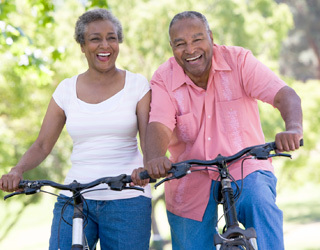 Despite the fact that a person has adequate healthcare coverage through their employer or their spouse’s employer when they turn 65 years old, people often sign up for Medicare Part A anyhow. Although the coverage may overlap between a Medicare Part A (hospital insurance) plan and your plan through your employer, there is usually no additional charge or monthly premium to pay for Medicare Part A if that person paid Medicare taxes during their employment, so there is no harm, financial or otherwise, in having both. Before signing up for Medicare Part A, while still being employed or getting healthcare coverage from your spouse’s employer, you should double check whether your employer is paying into a Health Savings Account (HSA) on your behalf. Oftentimes, an employer will stop paying into the HSA account if you enroll into a Medicare Part A plan. For those people who do opt to get a Medicare plan and keep their insurance policy through their employer or their spouse’s employer, the two policies will work together to determine which policy will pay a claim first. This situation is a called a “coordination of benefits” and requires the primary payer (oftentimes the private insurance policy) to pay a claim first to their policy limits before passing the remaining amount due to the secondary payer (the Medicare plan) to pay the remaining amount. Of course, whether or not the private insurance policy is considered the primary or secondary payer depends on the circumstances. When you sign up for a Medicare policy, the application will ask several specific questions regarding your employer and the insurance policy through your employer to determine the ranking.